WASHINGTON, DC, September 16, 2010 (ENS) – The Obama administration is “hiding” hundreds of memos and e-mails behind official scientific assessments of the size of the BP oil spill in the Gulf of Mexico, claims the nonprofit Public Employees for Environmental Responsibility in a lawsuit filed today. “Estimates of the leak rate inexplicably rose five-fold amid reports that political appointees sought to low ball the size of the spill,” the advocacy group said in a statement announcing the Freedom of Information Act suit. At issue are the estimates of National Incident Command’s Flow Rate Technical Group which was charged with developing an independent assessment of the amount of oil flowing from the Deepwater Horizon oil well. The oil leak was touched off by an explosion aboard the Deepwater Horizon on April 20 that killed 11 crewmembers, injured 17 others and released millions of barrels of crude oil into the gulf over 87 days – the largest spill in U.S. history. 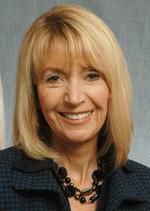 Marcia McNutt, director of the Department of the Interior’s U.S. Geological Survey, chaired the Technical Group. The group, which included both government and outside scientists, was supposed to estimate the worst-case flow rate to help the National Incident Command gauge needed resources and tactics for spill response. On May 27, Dr. McNutt issued a statement that the “best estimate” range of flow rates was between 12,000 to 19,000 barrels per day. In a later report on June 10, the Flow Rate Technical Group said the team had continued to refine its estimate and concluded that the best estimate for the average flow rate was in the range of 12,600 to 21,500 barrels of oil per day. Then on August 2, based on what the Group said were “new pressure readings, data, and analysis” the scientists estimated that, at the beginning of the spill, 62,000 barrels of oil per day were leaking from the well. By July 15, when BP finally capped the well, the scientists said 53,000 barrels of oil per day were leaking from the well. At meetings on July 30 and July 31, said McNutt, the group of federal and independent scientists and engineers discussed new analyses and data points to provide the updated range of flow rates, “relying heavily on newly available pressure readings” from the new containment cap put in place by BP on July 15. “An estimation of how much the flow rate has decreased over time was enabled by observing the pressure at shut in and by initial pressure estimates for the well when it was first drilled,” the Department of the Interior said in its August 2 statement. Today, PEER filed suit in federal district court in Washington, DC claiming that hundreds of pages of reports and communications are being withheld in violation of the Freedom of Information Act. PEER is asking the court for an order declaring that the USGS wrongfully withheld records PEER requested in July under the Freedom of Information Act and also is seeking an injunction directing the USGS to disclose all wrongfully withheld documents. PEER requested the release of all of the Flow Rate Technical Group papers, including directives from Dr. McNutt, on July 6, but to date only 26 of these documents have been released, the lawsuit states. Ruch said scientific integrity safeguards which would have prevented or exposed political interference in this arena were promised by President Barack Obama are still not in place more than a year after the deadline the President imposed. Before her appointment to head the USGS, Dr. McNutt, an oceanographer, served as president and chief executive officer of the Monterey Bay Aquarium Research Institute in California.